Inside: If you’re a single parent of young kids, it’s okay to stay single when your children are young if that’s your desire. Here are 8 reasons to back you up. When you’re single, there can be much pressure on you to date. Family and friends are always asking about your dating life. If you say “no, I’m not dating” you can see the disappointment on their face. But especially if you have young children, you may not want to date in this phase of your life. And that’s perfectly fine. Sure you’re missing out on having extra help around the house, but there are advantages to staying single when your children are young. Below are eight reasons to back you up next time a well-meaning family member tries to live vicariously through you. So many changes happen in our children’s lives when there is a divorce. Having a steady home without introducing new people to the mix helps add stability for your children. My mom was a single mom. When my parents divorced when I was 14, she never introduced any men into our lives. We had a steady home with her; we always knew we were her number one priority. You’re already doing all the things. Being a single mom is completely overwhelming. Single moms are 100% responsible for all the chores, finances, school activities, household malfunctions, car malfunctions, running the kids around, helping with homework (even the part you don’t understand), the yard work, the list seriously never ends. Add a sickness in there and it becomes impossible. It can seem like a good idea to have a man around. But it’s one more thing on your plate. One more thing emotionally to distract you from the kids. The fact is, our kids need us to be present more than we can be there. We can’t do it all. But the less we have in the way of our kids, the easier it is. Loneliness is a reason many choose to date. But as this article explains loneliness is typical for all humans – single and married. Rushing into relationships to relieve isolation isn’t the answer. Instead, spend this time getting to know yourself. You’ve changed. Whenever you add one person to your family unit, it changes the mix. It doesn’t matter if this person is a grandparent along for a vacation or a new partner. The whole family dynamic changes. The way each person relates to each other naturally changes. Sometimes this is for the better. But the fact that your bond will change is a factor to be evaluated. Staying single when your children are young enforces for your children that they are the number one priority at this time. You are their safe zone. Dating takes a lot of emotional energy. Energy that could be redirected into all-the-things. Things like running the house, kids, finances and the never-ending list of “single-mom life.” By the end of the day, I have very little emotional energy left for the kid who still won’t fall asleep. It may be healthier to stay single after a divorce. We’ve all heard that it’s healthier for men to be married but what about women? A study from the Journal of Women’s Health shows the positive effects on women after their divorce compared to when they were married. Of course, take that with a grain of salt as the women in the study were obviously not in a good marriage the first time. However, it does show us the importance of this life decision. Are you and your children ready for you to put in all the time, energy and work required? Some women don’t feel that longing for someone else right now. We dream of doing things with our kids and accomplishing dreams. This can be especially true if you’ve recently come out of a draining relationship. Perhaps God has temporarily removed that desire for you right now to allow you to concentrate and enjoy your children. God’s timing is perfect. Not right now doesn’t mean “no” forever. My favorite part of every day is the last 2 hours before sleep. My kids and I lay in my bed and talk about the day, say prayers, or sometimes read for the whole 2 hours. We have been doing this for seven years, and the kids haven’t outgrown it. And I’ve had some seriously trying times with them. But at the end of the day, even if they aren’t speaking to me, this where they end up. Whenever I think of the future, all I know is I don’t want to disrupt this dynamic. This time is fleeting, and they will tell me when it’s time to let go. This is the last of a 7 part collaborative series with other Single Mom Bloggers. 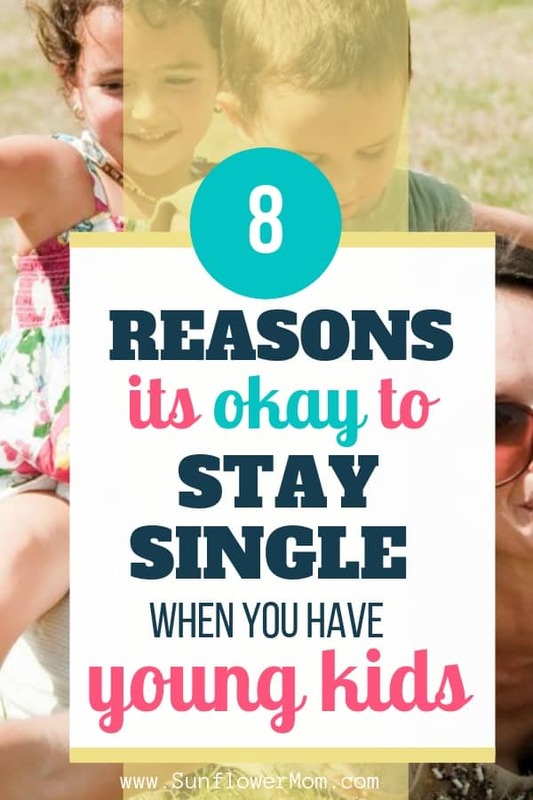 Check out what they have to say about dating as a single mom. Jennifer, you have an interesting perspective. I did date when my kids were young, but most of the time it was when they were with their dad. I am not sure how I would have handled dating had I not been in a co-parenting situation. I LOVE that you have that bond/traditional quality time with your children. It’s so beautiful!!! Pure awesome mothering!!! Awe, thanks so much for the kind words!! It’s so nice to hear from others who have chosen the same!